The question, "What is vinegar made of?" requires a complex answer because there are so many different varieties of vinegar. In order to understand what vinegar is made of you have to understand how something becomes vinegar. Scientifically speaking vinegar is made by acetic acid bacteria that causes oxidation of ethanol from a variety of sources. The bacteria occur naturally as a result of the fermentation of carbohydrates by yeast. The fermentation process is a long one, although the speed can be artificially increased. It takes several months to complete the process by the old-fashioned method. With modern technology it can be finished in less than a month. There are many varieties of vinegar. Each has a distinct flavor and odor. Every variety of vinegar is fermented but some, like balsamic, can take years while others, like cider vinegar, take only a month or two. Balsamic vinegar is an aged vinegar that comes from the Modena province of Italy. It is made from the concentrated juice of Trebbiano grapes. The color is dark brown, sometimes almost black, and the flavor is often sweet and sour at the same time. Balsamic vinegar is an artisanal vinegar which is often aged for years in wood barrels. True balsamic vinegar is aged for up to 100 years and the texture gets quite thick and syrup-like. The grocery store variety of balsamic vinegar is not really balsamic but made with concentrated grape juice mixed with vinegar and sugar. Always read the labels and be ready to pay premium prices for true imported balsamic. Beer vinegar is made, as you might expect, from beer to which has been allowed to ferment. It has a mild, malty flavor and golden color. This vinegar is popular in the United Kingdom, Germany, Austria, and the Netherlands. It can be used on anything you would use malt vinegar on. Cider vinegar is the most used all-purpose vinegar. It is made from apple cider or sometimes apple scraps and windfalls (apples that are not good enough for eating whole because of bruises, etc.). It has a golden amber color. Conventional cider vinegar is filtered and somewhat bland but the all natural unfiltered product has a deep taste and cloudy appearance. Coconut vinegar is made from coconut sap and has a sharp, slightly yeasty flavor. It is used extensively in Thai and other Southeast Asian cooking. You may be able to find it in Asian markets or online. This is a clear vinegar that is used in pickling. It is made from grain based ethanol or acetic acid produced in a lab. It is too harsh for many uses in cooking. 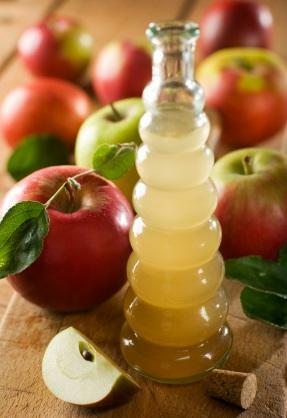 These specialty vinegars are excellent in salad dressings and on fruits, as well as in desserts. What would fish and chips be without malt vinegar? Made from sprouted barley this deep brown liquid has a malty taste. It is excellent for pickling, with fish and chips, and in many British recipes that call for vinegar. Raisin vinegar is made from raisins and has a mild sweet flavor reminiscent of balsamic vinegar. It is used in Middle Eastern cooking and makes a mild salad dressing with a unique taste. Red - Red vinegar has a sweet and slightly tart flavor. Black - Black rice vinegar has a deep, exotic, smoky flavor. Ume, Umeboshi, or Umezu vinegar is a salty, sour by-product of the production of pickled ume. It is not a true vinegar, per se, but is often used in oriental dishes in the same way vinegar would be. What is vinegar made of? Almost any food that contains natural sugar can be made into vinegar. Knowing the process involved, can help any aspiring chef or home cook to create unique flavor combinations and introduce new tastes in their dishes. You can add herbs or fruit to almost any vinegar to create your own flavored vinegars for your recipes to give yourself even more variety.